184 pages | 3 B/W Illus. 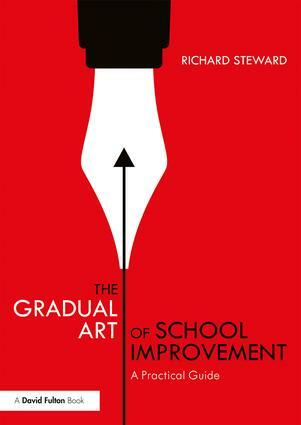 School improvement in recent years has largely focused on rapid improvement and quick fixes. Yet, genuine and sustainable school improvement is complex, gradual and incremental. It requires developing a culture and focusing relentlessly on teaching and learning. Accessibly written and entertaining, this book is an invaluable resource for leaders at all levels and stages of their career. Richard Steward is the headteacher of an outstanding school in the West Country where he has worked for 16 years. He has taught in a variety of schools in a thirty-year career and has worked as a part-time lecturer with The Open University. He regularly publishes articles in the educational press.